Gender Bread, the most PC cookie cutters ever! The Gender Bread are Gingerbread Cookie Cutters but they’re PC. They come in a ‘confirmed bachelor’ boy/boy style, or a more conventional boy/girl version. Either way, this is a very ‘tasty’ gift indeed. 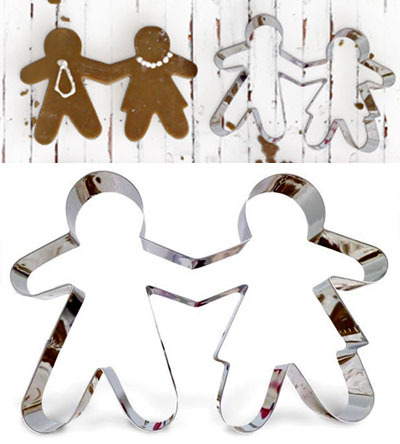 If you’ve been looking for a man cookie cutter then look no further – here there are two in one pack. Details Here!